Rocket League are really showing how it's done, with a big update due on Tuesday next week which will bring in a fully cross-platform friends system. You can already be matched up against players across Linux, Mac, Windows and various consoles but this is a big step further. 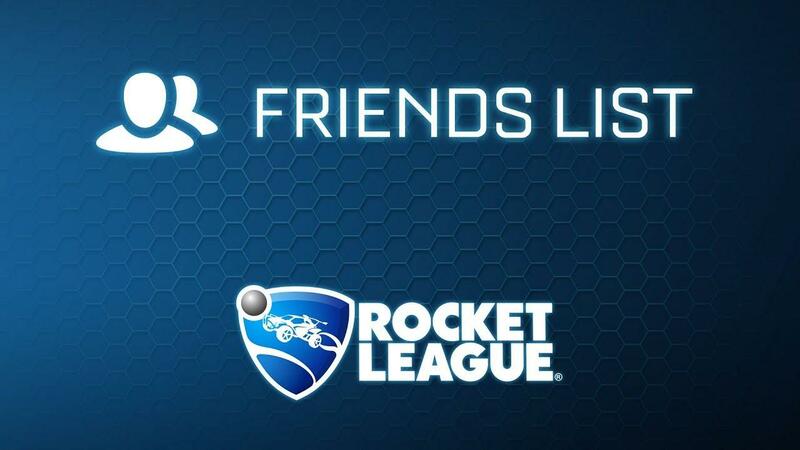 With this update, Rocket League will have a new in-game friends list giving you the ability to add people and play with them across all supported platforms the game is available on. I really hope more games (where it makes sense) do this in future, as it's a fantastic feature. On top of that the Dropshot, Hoops, Snow Day and Rumble modes are being added to Free Play for you to practice as much as you like. This will also mark the end of the ninth competitive season, with rewards going out and the tenth season will start. So if you're working towards hitting a new reward level, you might want to get some more time in quick. Sadly, the next in-game event has been cancelled and it's being replaced with a new event later this year. To make up for it, they're doing a "weekend of combined Double XP AND Double Painted drop-rates" which will run from March 7th and end March 11th. You can pick up a copy on Humble Store and Steam. How console players type in the chat? Slowly i guess with some onscreen keyboard type of thingy? Xpander How console players type in the chat? Slowly i guess with some onscreen keyboard type of thingy? I would assume using each console's built in on-screen keyboard. Will have to wait and see exactly how it will work. Chat? As far as I know, Rocket League only has a handful of standard messages (like "Good shot!") to select from. Is there any mention of a full chat feature that I missed? There's a dedicated in-game chat in the menus though outside of games, and in-game (at least on PC) you can still talk normally too with text on top of the quick-chat options. With a cross-platform party system, it would make sense if a console player could chat normally too with a PC player. Hopfenmeister Chat? As far as I know, Rocket League only has a handful of standard messages (like "Good shot!") to select from. Is there any mention of a full chat feature that I missed? T for text chat, Y for team text chat. I'm surprised you never saw anybody using it.